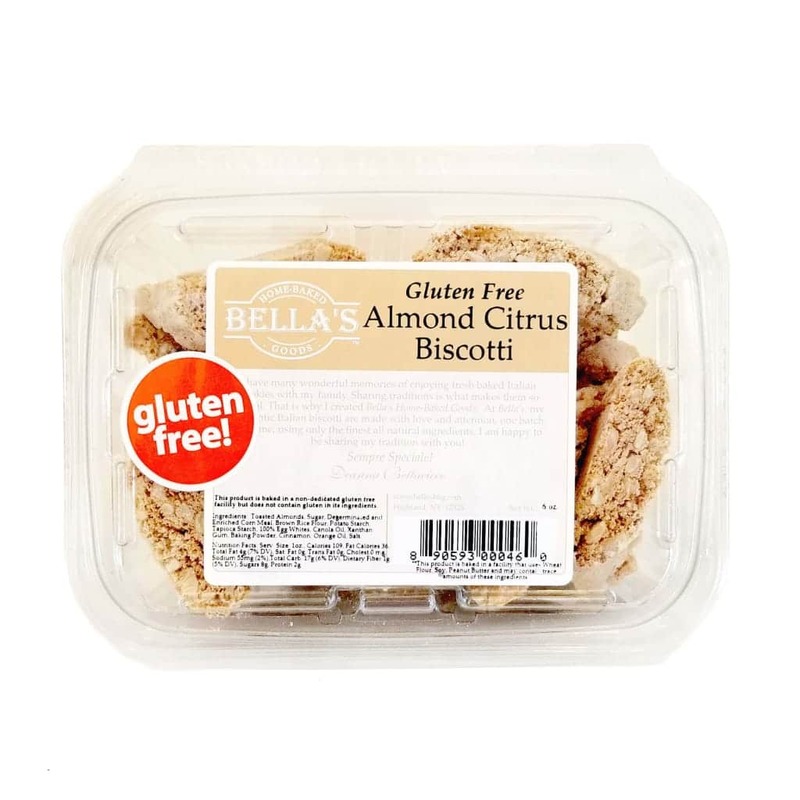 Bella’s Gluten Free Almond Citrus Biscotti are reminiscent of traditional Italian quaresimali, biscotti-like cookies that were traditionally made during the Lenten season. 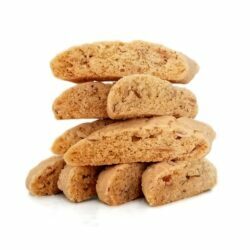 Made with less sugar, flour and fat than a traditional cookie, when fasting during Lent, quaresimali were the go-to for a sweet treat. 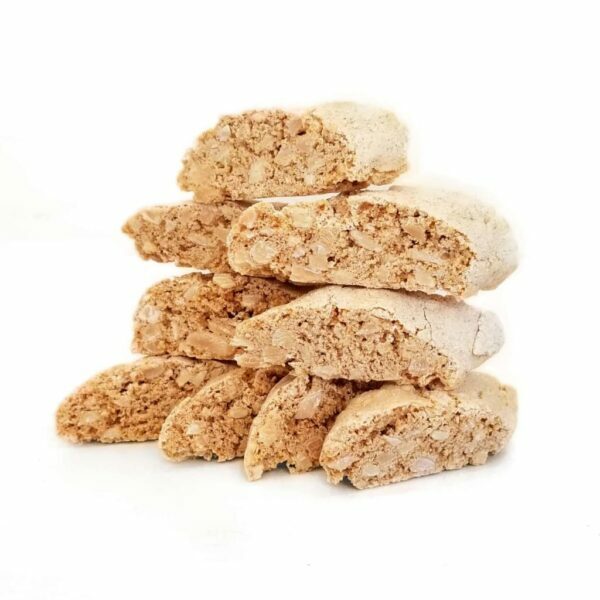 Our Gluten Free Almond Citrus Biscotti are made by hand, blending the finest ingredients with Bella’s special gluten free flour blend. 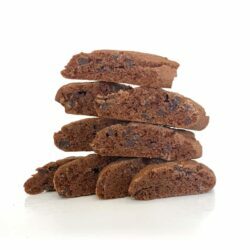 Loaded with roasted almonds, orange oil, a touch of cinnamon, these special cookies contain NO GLUTEN, but are full of flavor and crunch! Ingredients: Ingredients: Sugar, Toasted Almonds, Degerminated and Enriched Corn Meal, Brown Rice Flour, Potato Starch, Egg Whites (guar gum, triethyl citrate), Canola Oil, Tapioca Starch, Cinnamon, Baking Powder, Orange Oil, Xanthan Gum, Salt. Nutrition Facts: Serv. 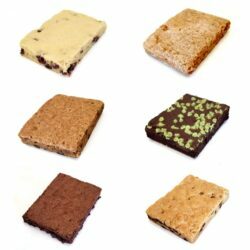 Size: 1oz., Calories 110, Fat Calories 36, Total Fat 4g (5% DV), Sat. Fat 0g, Trans Fat 0g, Cholest. 0 mg, Sodium 52mg (2%),Total Carb. 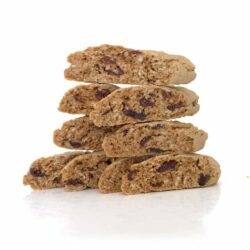 16g (6% DV), Dietary Fiber 1g (5% DV), Sugars 8g, Protein 2g.